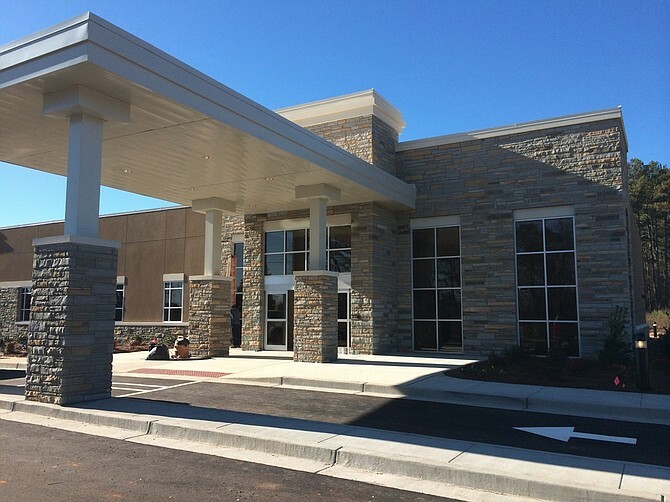 The new NGPG Dacula, located at 852 Dacula Road, will offer primary and urgent care services. Additionally, according to NGPG Administrative Director Jonathan Hecht, patients will also be able to visit some specialists at the location. The new office, Hecht explained, is part of the primary care infrastructure that has been developed in advance of the opening of the new Northeast Georgia Medical Center Braselton — a 100-bed hospital opening in the spring. That infrastructure, part of the Northeast Georgia Health System (NGHS) network, includes locations in Buford, Hamilton Mill, Auburn, Winder and, as of Jan. 5, Dacula. Though NGHS is based in Gainesville, the decision to expand into the Gwinnett market was a logical one, Hecht said. "Gwinnett is a densely-populated area, much more so than Hall County," he said. With a population of more than 859,000 compared to Hall County’s 187,000, Gwinnett has a large potential patient base. "The idea has been around for a while to expand the service area to reach into Gwinnett County to move those referrals, those lives north into Braselton," Hecht said. When NGPG Dacula opens in January, it will join approximately 10 other NGPG locations that essentially encircle the new hospital on Thompson Mill Road. "The thing to remember about this is that it is not a standalone physicians group, it is part of a wonderful health system which gives patients access to our specialists, our ancillary services as well as a full array of complete hospital services," Hecht said. Since all of these health care providers are part of the same system — NGHS — there is a continuity of care that benefits patients, he added. "It’s really a better way of looking at the whole person, the whole life, than seeing a private physician who doesn’t have that connection to a health system," Hecht added. When it opens next month, NGPG Dacula will be staffed with two primary care physicians — Dr. Linu Joseph and Dr. Susan Smith. Eventually, four primary care physicians will be based in Dacula. The location’s urgent care center will have two physicians, one on duty at a time. The Dacula location will also offer orthopedic specialist services. "We will have a growing contingent of specialists operating at Dacula," Hecht said. In order to accommodate the growth in specialty services, the urgent care center will eventually be relocated to a new 4,500-square-foot building adjacent to the facility which is currently under construction. In the meantime, the urgent care center — which operates daily from 8 a.m. until 8 p.m. — will be located inside the NGPG Dacula building. A grand opening "Winter Wonderland" celebration for NGPG Dacula is scheduled for Jan. 10 from noon until 4 p.m. The free event will feature food, games, a giant ice slide, wellness screenings and tours of the facility. "NGPG and NGHS have a standard of care, but we also treat every patient individually," said NGPG Practice Administrator Jessica Waycaster. "That is going to be our top priority." For more information or to schedule an appointment, call 770-848-9360 or visit ngpg.org/dacula.